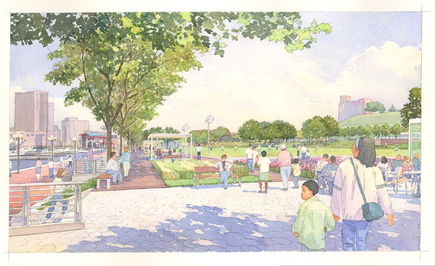 Ziger/Snead performed a study for the redevelopment of Rash Field, a nine-acre waterfront park on Baltimore’s Inner Harbor. The plans included a 600-space underground parking garage, children’s science park, a large multi-purpose athletic field, volleyball courts, outdoor trapeze school, urban dog run, fitness trail, concession kiosks, public works offices and maintenance shops, and public restrooms. 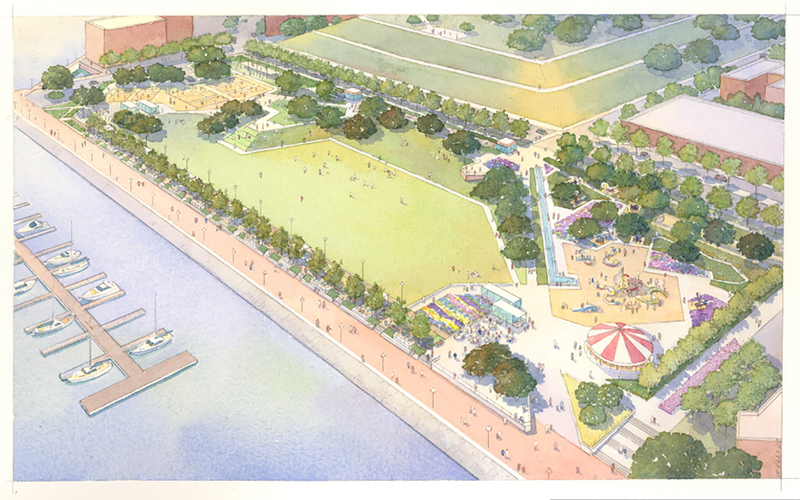 Design challenges included a tight schedule, technical constraints related to the waterfront site, multiple stakeholders and a highly-involved local community.